1. File was splitted around 5-6 parts smaller file, that because my Internet connection only able to upload around 4-5Mb, over that size then uploaded file was corrupt/broken. 2. That source code was released when I still can't manage to compile it under Linux, so it's only tested under Windows and also contains many compilation generated files that need to be cleaned before can be recompile it again under different system. Sorry, but i need long time before i can release clean Gimphoto source code, that is happen because i need make sure that it is can be compiled under Windows and Linux. 1. 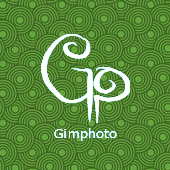 Now Gimphoto source code is available as single ZIP package, thanks to Tuxfamily.org, i can join the splitted uploaded file from their SSH Shell. 2. I already clean it up the source code manually and testing it to make sure it can be compiled under Windows and Linux.